Selecting a supplier can be a very difficult and intricate process. Price, quality and dependable delivery, along with serviceability are the key components to good business. 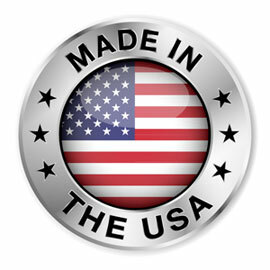 At Stock Manufacturing Co., Inc., we pride ourselves on good business. Take a look at your present suppliers and those asking you for business. Does your present metal fabricating source maintain the most current equipment which offers today's technological capabilities and cost savings? Do you receive quick reliable responses from the people you do business with? Do you consistently recieve quality products on time? The answers to these questions are what separates us from our competitors. Remember, you deserve the best for your money. At Stock Manufacturing, we are dedicated to satisfying our customers' needs while providing them with the highest quality product, at the best price, delivered on schedule. Every part of our company reflects this dedication to our customers. Just take a look for yourself. Look at our equipment! Look at our people! Look at our customer service! Look at our quality! You will find that we offer the best products at the most competitive prices. In today's changing industry, you always need to be looking for opportunities to improve. There are proven methods of fabrication that can save you money and provide you better quality products. Utilize what we have to offer to get ahead of your competition and we feel confident that you will recognize the opportunities Stock Manufacturing can provide for you. Since 1974, when Stock Manufacturing was founded, product quality and customer satisfaction have been key corporate goals of our company. Our expertise in the metal fabrication field have been finely tuned through many years of experience. It is common knowledge throughout our company that quality control is not just a final inspection. Good quality revolves around every part of an organization. While quality equipment provides us with the capabilities to produce quality products, quality people lead our team to meet customer standards. It is our objective at Stock Manufacturing to consistently maintain and improve our equipment, as well as, train our personnel. We want to work with our customers to best utilize our equipment and to consistently provide them with the highest quality products at the best price. As a subsidiary of Stock Manufacturing & Design, Premier Coatings is a powder painting and metal part finishing job shop. We are experienced in providing our customer's quality finishes at an affordable price on time. Our in house equipment is state-of-the-art and it represents the latest technological advancements in metal part finishing. Specializing in producing custom metal shims, brackets, mounting plates, spacers, gaskets, etc. We pride ourselves on servicing our customer base with a quick turnaround. Servicing customers from all over the world, there's an endless number of applications for the parts we make and there's no job too big or too small. "Our strength is in our family of dust collectors!" Serving the rock drill industry since 1991, QMP offers the best dust collection systems available in the marketplace today. Dedication to smarter fabrication techniques and experience in the rock drill industry has enabled QMP Dust Systems to excel when it comes to dust collection. QMP specializes in application specific design systems for OEM's.